Conversion attribution is the practice advertisers use to give appropriate credit to every impression, interaction or click that helped drive a conversion in a campaign. Instead of the typical “last click wins” model, in which 100% credit is given to that last ad that was clicked on before a conversion, attribution modeling shines a light on the entire path the customer took to get there. There are many reasons why online advertisers have relied on this “last click wins” model. There is a lot of data to sift through, and making sense of it can be a overwhelming. Although only 14% of respondents in a recent survey by Google Analytics in partnership with eConsultancy consider “last click” attribution to be “very effective,” it remains common; most likely because marketers haven't yet found or mastered the right attribution tools. But simply giving all the credit to the final click ignores the contribution of the customer’s previous interactions—whether through search, display or rich media —that led to the final purchase. At DoubleClick, we provide you with the data needed to properly credit the different channels that led to conversions for your campaigns. First came the Exposure to Conversion Report (E2C), a premium report which lets advertisers view data on up to ten ad interactions leading up to a conversion. Then we released Multi-Channel Funnels in DFA to offer all clients an aggregated view of which channels contribute to and result in conversions. Now, we’re pleased to introduce the Path to Conversion Report. This report, available in new DFA Reporting, makes it easier for you to gain insight into your customer’s journey to a purchase. For a trial period, the new Path to Conversion report is available to any customer who is already receiving the E2C report. Easier to use: the data, available in new DFA Reporting is much easier to compile and faster to download. More interactions: the availability of data has greatly expanded. Now you can analyze up to 200 customer interactions (also known as “exposures”) per conversion as compared to a maximum of ten in the E2C report. Custom Floodlight Variables: you can now include custom floodlight variables in the report in order to determine custom conversion details, e.g. order amounts for e-commerce sites or the number of nights booked for travel sites. 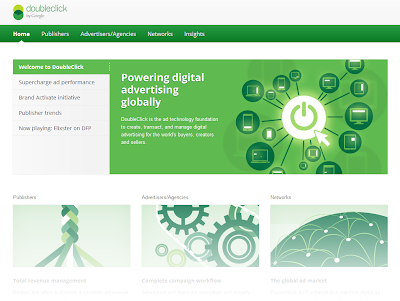 Enhanced DoubleClick Search integration: Available per interaction: Ad level data including keyword, new DS3 labels and Full DoubleClick Search IDs - for easier optimization. Attribute sales with no clicks: Often you’ll encounter customers who have seen a DoubleClick-served ad from another network, and then went to the advertiser’s site later to buy. Data on these unattributed conversions (aka non-attributed interactions), are now measured in this report. International support: P2C now supports multi-byte characters in Floodlight Custom Variables and in DoubleClick Search Data (keyword, etc). We invite existing E2C customers to log in to DFA Reporting and try out the Path to Conversion report during this trial period. We’re excited to see how you can leverage this report to take the next step in your attribution modeling efforts.